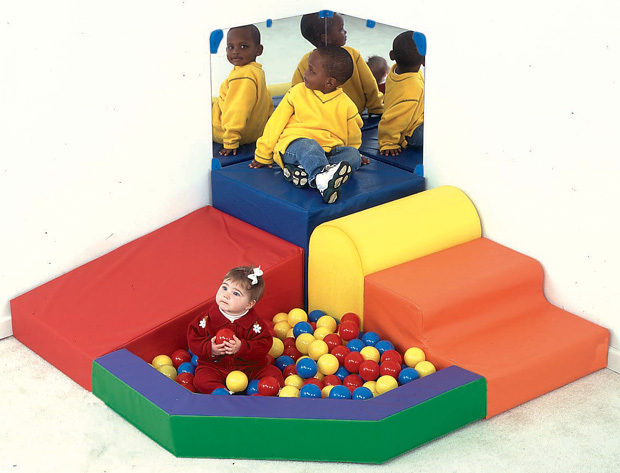 * Bright colors attract curious climbing and ball pool holds 120 polyethylene balls. * Add two mirrors to enhance and multiply play possibilities. * Must Be Used In Corner For Safety.